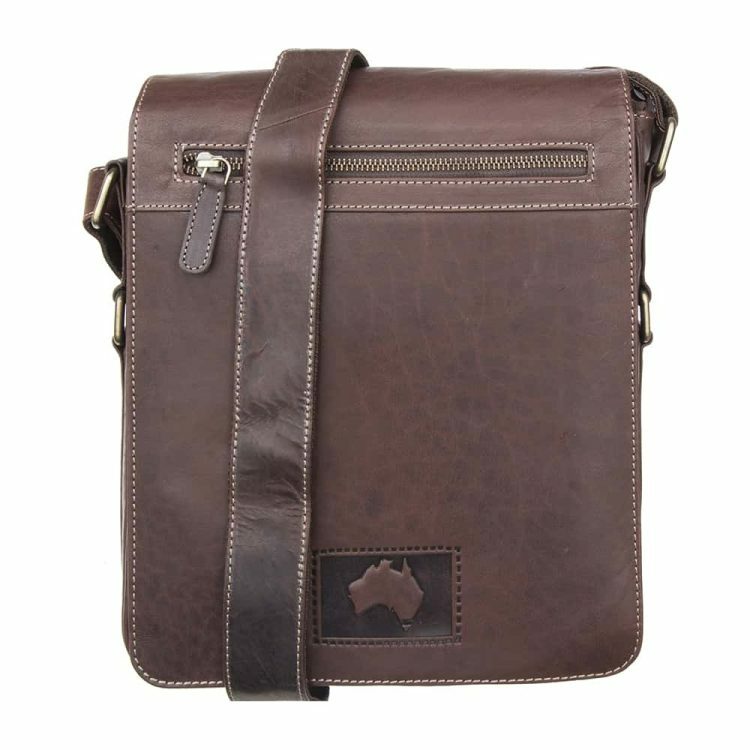 Wombat Flapover Messenger Bag. A super-cool, dark brown messenger bag made from gorgeous, genuine oiled leathe from the Outback range. 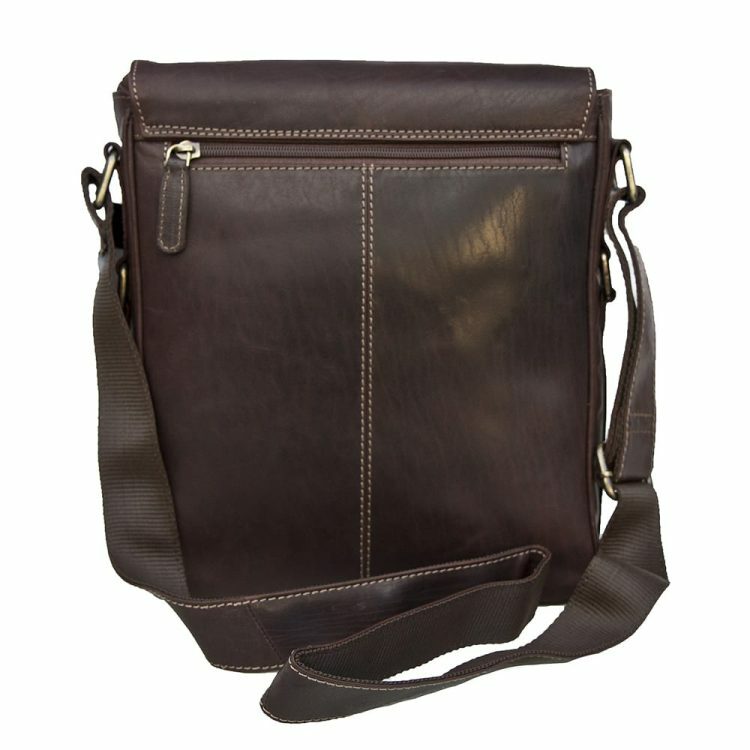 The long strap is made from soft leather for a comfortable, cross-body carry. 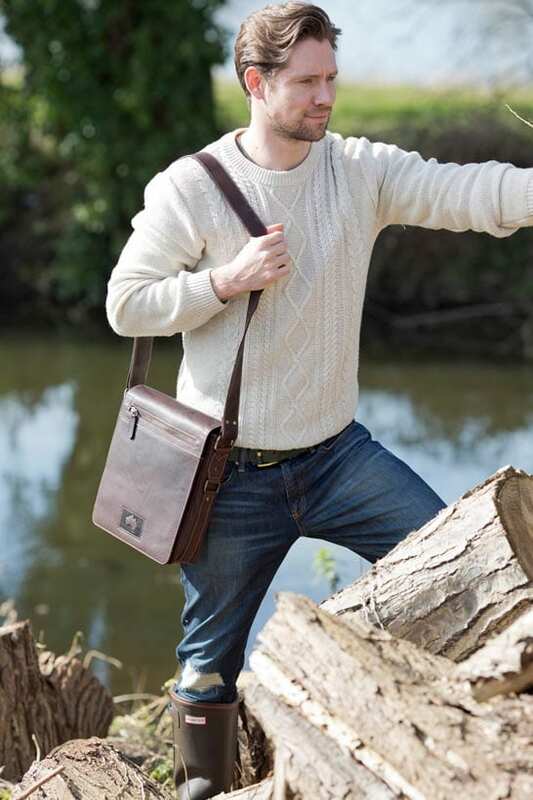 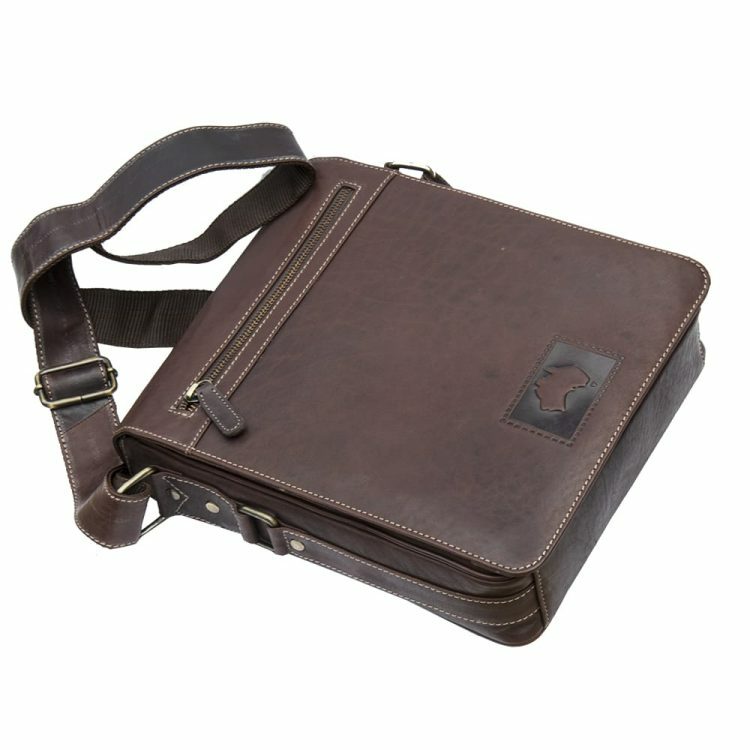 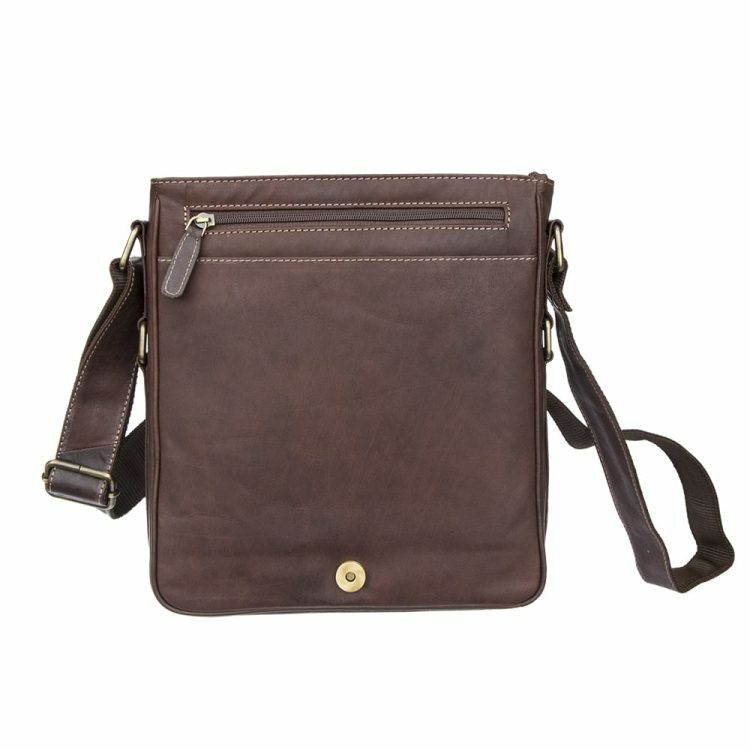 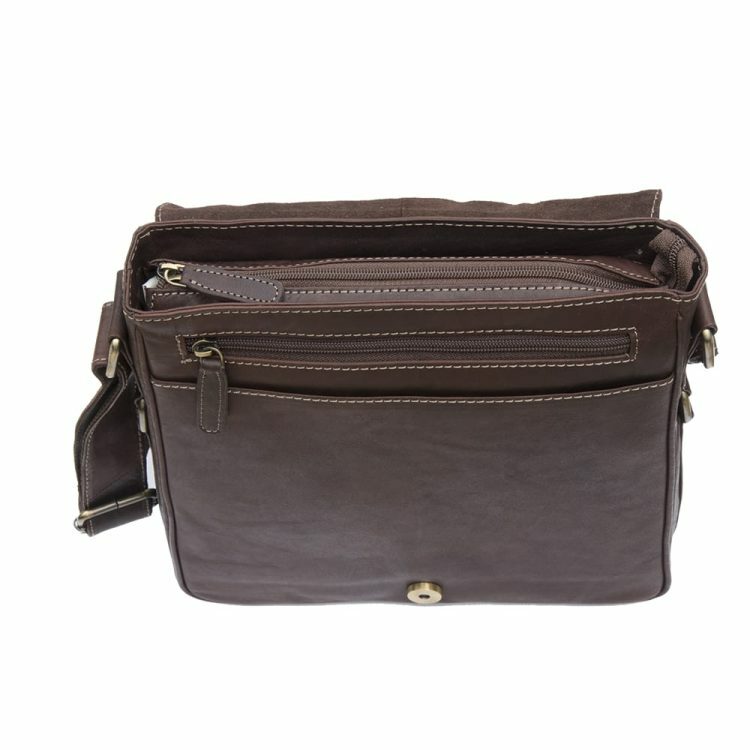 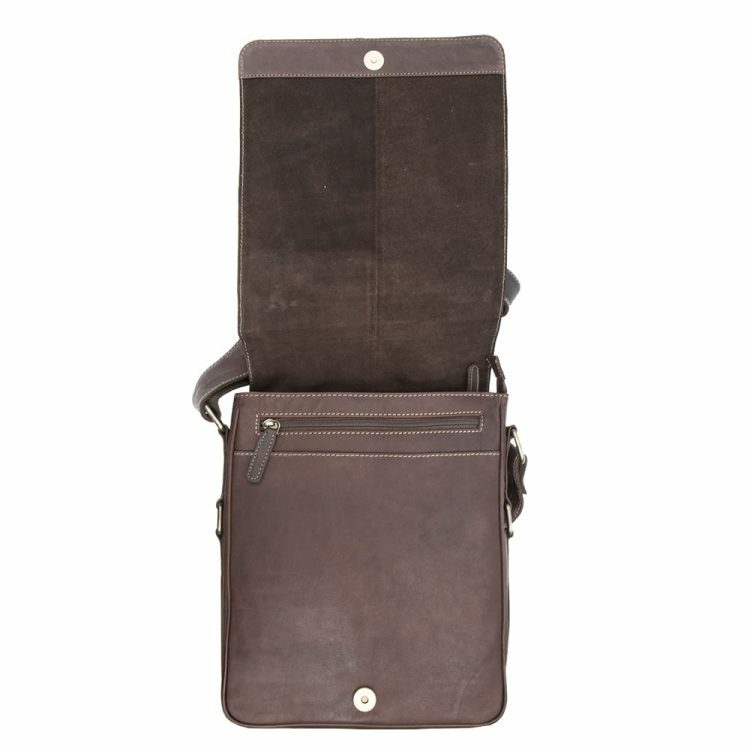 This bag’s dimensions make it perfect for carrying your iPad, netbook, tablet or Kindle reader.